Certifications & Affiliations - SmartWay, COR Certified and many more - Payne Transportation Ltd.
Payne Transportation Ltd. is always striving to conduct business in an environmentally responsible manner. We continue to use best practices and invest in technologies to reduce our carbon footprint; reducing greenhouse gas emissions & improving fuel efficiency. 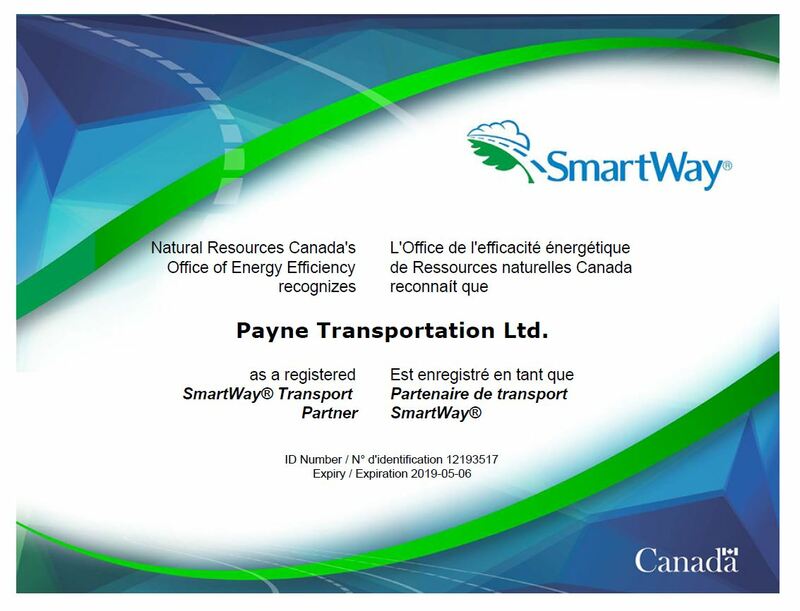 Payne Transportation Ltd. is a recognized member of SmartWay Transport Partnership, (a voluntary collaboration between the EPA and the freight industry to increase energy efficiency while striving to reduce greenhouse gases and air pollution). A copy of our current certificate is available by clicking here. 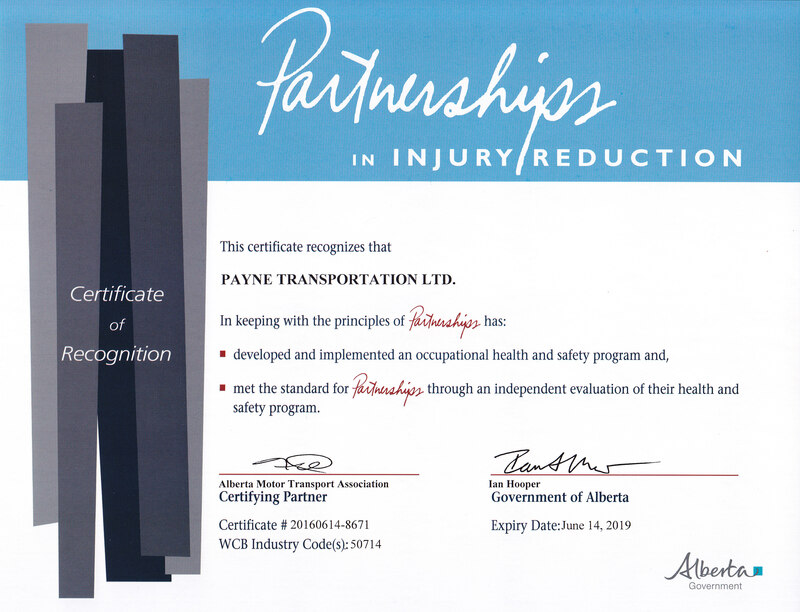 Payne Transportation Ltd. is also COR Certified, recently quoted by Allen Smythe, External COR Auditor, “As the Audit Score confirms the health and safety program in place at Payne Transportation Ltd. is well managed and is effective in minimizing workplace injuries. The management team continues to search out new and innovative ways of improving the program and it’s effectiveness.” A copy of the our current certificate is available by clicking here.